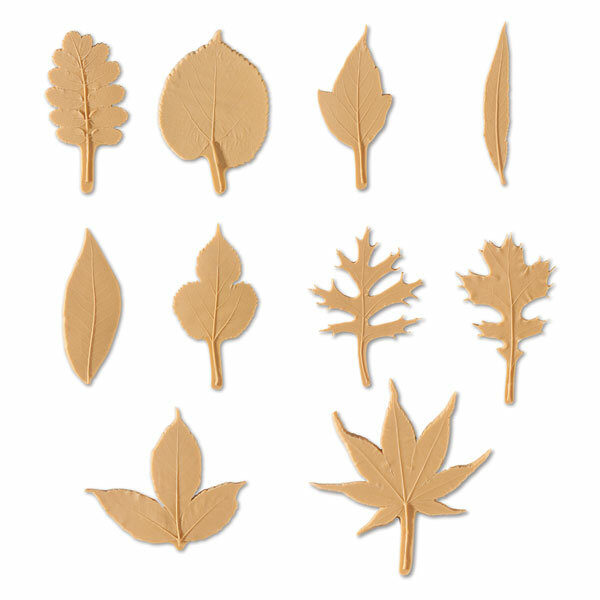 These life-size rubber replicas are cast from actual leaves to create realistic impressions for countless applications. Plus they are a great classroom tool for stimulating discussions about biodiversity and nature printing in general. The creative possibilities are endless with these leaves. Use them with rollers on paper or fabric, make prints for everything from wall murals, paintings, and T-shirts, or use them with clay for textured impressions. 10 Piece Set — Includes one each of Royal Mountain Ash, Quaking Aspen, Box Elder, Peachleaf Willow, Shagbark Hickory, Red Mulberry, Northern Pin Oak, Bear Oak, White Ash and Japanese Maple. Sizes range from 8" to 8½" long.